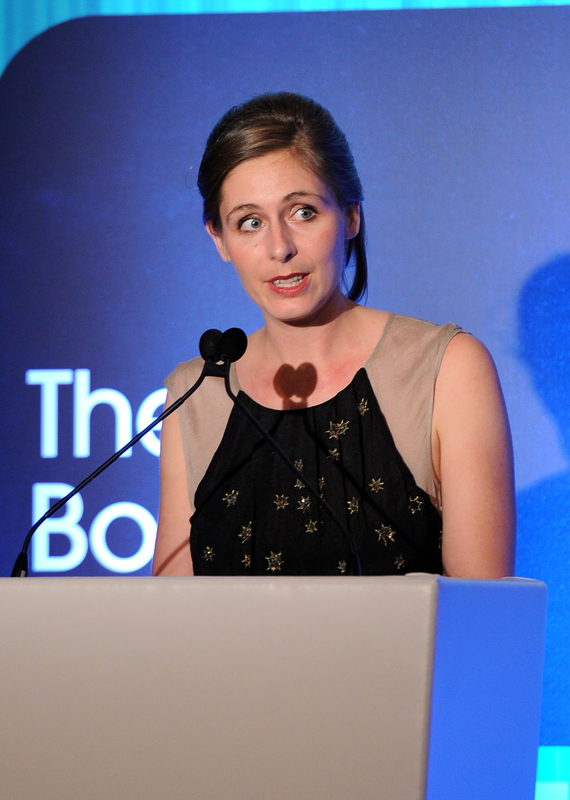 Man Booker Prize Winner Eleanor Catton Talks Sexism in Publishing — Is She Right? When Eleanor Catton’s novel The Luminaries won the 2013 Man Booker Prize, she became the youngest-ever recipient of the prestigious award at the age of 28. Her 832-page book is also the longest winner in the prize’s history. Yet Catton says that a lot of people have a problem with her age, her gender, and the length of her novel, usually in combination. I have observed that male writers tend to get asked what they think and women what they feel… and that of a lot of other women writers, all of the questions coming at them from interviewers tend to be about how lucky they are to be where they are — about luck and identity and how the idea struck them. The interviews much more seldom engage with the woman as a serious thinker, a philosopher, as a person with preoccupations that are going to sustain them for their lifetime. Is she right? Unfortunately, it kind of looks that way. The Guardian itself ran two reviews of The Luminaries when it was first longlisted. The first by Lucy Scholes is brief and doesn’t do much more than go over the basics of the book, though Scholes manages to slip in little comments – like calling the novel’s opening section “one of the most beautifully and intricately mapped pieces I've ever read” – that make it very clear she’s a fan. On the other hand, a second review run just a few days later by Kirsty Gunn calls the book “a massive shaggy dog story; a great empty bag; an enormous, wicked, gleeful cheat.” Her overall complaint seems to be that the novel is both very long and not about very much. As much as I disagree, it seems to be a common complaint, and one that, aside from Gunn, appears to come disproportionately often from men. Guy Somerset, editor at New Zealand’s The Listener, refers to the novel as “the creative writing exercise to end all creative writing exercises” and treats it as such, not as the serious and innovative piece of fiction that the Man Booker judges took it to be. And even though he calls fellow countryman Catton “one of our most gifted young writers,” he clearly feels that this was the wrong novel for her to write. It’s rather condescending. CK Stead in The Financial Times called The Luminaries “shamelessly implausible” and complained that the book was too long. “The demands made on time and attention,” he declared, “offered insufficient human or intellectual return.” Strikingly, he also had the audacity to state that the novel might well be “Virginia Woolf’s nightmare of how many steps back a woman might take the form if given her head and a room of her own.” His rationale here being that it harkens back to a previous era of historical fiction rather than moving forward or being innovative. I am sensing a theme here. And it continues. Paul Dunn at The Times claims Catton's “pastiche Victorian prose can be painfully slow” and goes on to complain about her imagery and the structure. Neil Stuart writes that the book “struggles at times to earn its duration.” And on it goes. Now this is not to say that no men liked the novel. Simmy Richman at The Independent and Leslie McDowell at The Scotsman , for instance, gave Catton very positive reviews. Yet the more one looks at the reviews, particularly those published when Catton was only newly longlisted, one sees a definite male skew to the negative reviews, most of which complain about the novel’s length and dismiss its innovative structural aspects. So it seems that Catton’s observation that people don’t want to receive an ambitious novel of big ideas from a young woman might be right on the mark. And that is a real shame. It’s no secret that there is a lot of sexism in the world of book publishing and reviewing. And it seems that even winners of the Man Booker Prize aren’t safe from it. But if novels like The Luminaries keep on winning major prizes, female author or no, who knows? Things might just change. In the mean time, haters gonna hate, and Eleanor Catton doesn’t have to care.